In 1877 Brahms recommended his publisher Fritz Simrock to take on Dvořák, at the time a completely unknown composer from Prague. And sure enough, his first publication, the spirited Slavonic Dances, enjoyed a sensational success. A new era in Leipzig has just begun: Andris Nelsons has started his tenure as the 21st Gewandhaus Kapellmeister. Three concerts of the festive weeks celebrating his inauguration and “275 Years Gewandhausorchester” are still available online on Arte Concert until early summer. Gewandhausorchester and Andris Nelsons perform Schleiermacher, Berg (Baiba Skride, violin) and Mendelssohn. Video available online until May 25th. Andris Nelsons and Gewandhausorchester perform Widmann and Bruckner. Video available online until June 6th. Andris Nelsons and Gewandhausorchester perform Larcher, Mozart, and Tchaikovsky’s “Pathétique”. Video available online until June 14th. A new era in Leipzig has just begun: Andris Nelsons started his tenure as the 21st Gewandhaus conductor. The festive weeks of his inauguration and the celebration of “275 Years Gewandhausorchester” are slowly coming to an end. The last of three livestream following Nelsons start in Leipzig will be available on Friday, March 16th, at 8 p.m. on Arte Concert. A new work by Thomas Larcher, Mozart’s Symphony in G minor, KV 550, and Peter Tchaikovsky’s Symphony No. 6 will be performed by the Gewandhausorchester and its new music director Andris Nelsons as part of the “Grosses Concert”. 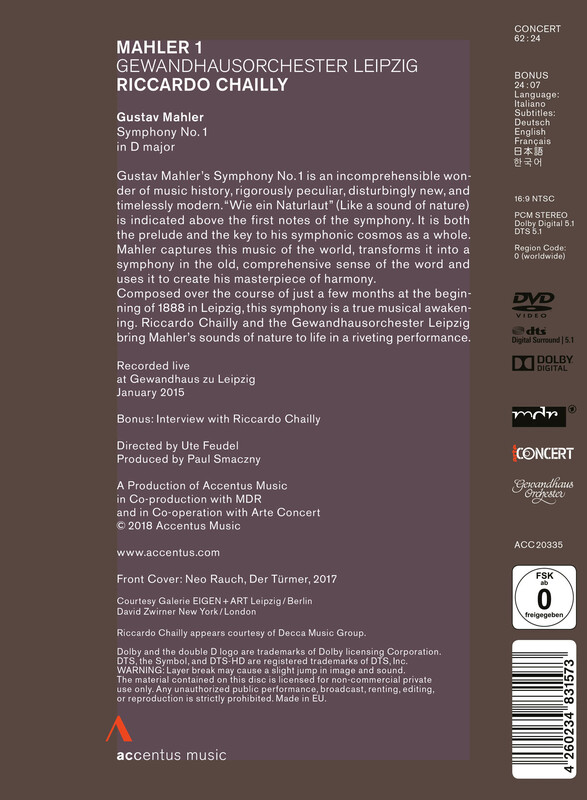 Accentus Music’s new release of Gustav Mahler’s Symphony No. 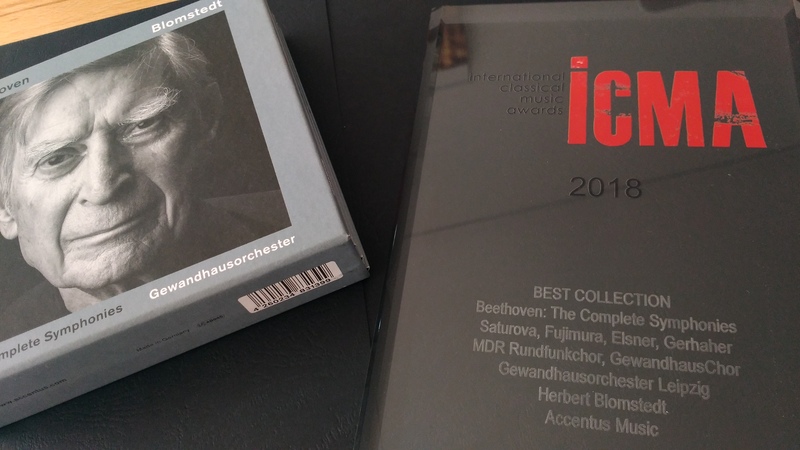 1 performed by the Gewandhausorchester Leipzig under the baton of Riccardo Chailly is already available in Germany and soon in other countries. 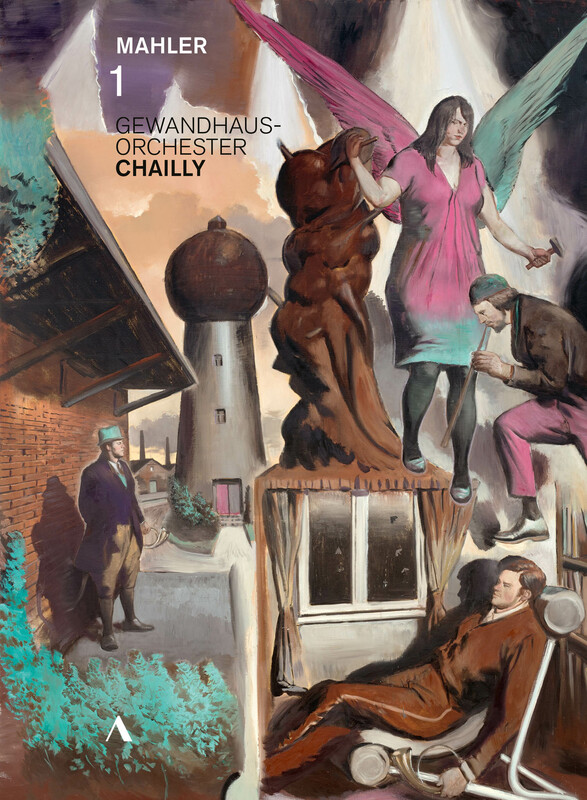 The DVD/Blu-ray – with a painting by Neo Rauch on the cover – includes an interview with Riccardo Chailly on Mahler’s composition. For more information about the new release, click here. Accentus Music’s new release, Jules Massenet’s opera “Werther” with Juan Diego Flórez in the leading role, is now available in Germany and later this month in other countries. 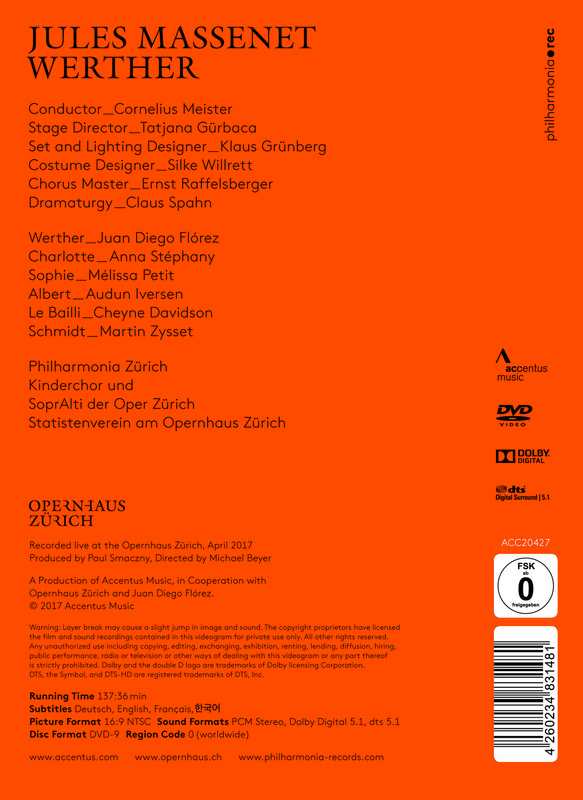 The opera was recorded at the Opernhaus Zürich in April 2017. For more information about the DVD/Blu-ray, click here. On the occasion of the International Women’s Day, the Beirut Art Film Festival will be screening the documentary “Maestras – The Long Journey of Women to the Podium”, directed by Günter Atteln and Maria Stodtmeier. The screening will take place on Thursday, March 8th, at 8 p.m. at the Alice Mogabgab Gallery. For more information about the documentary, click here. 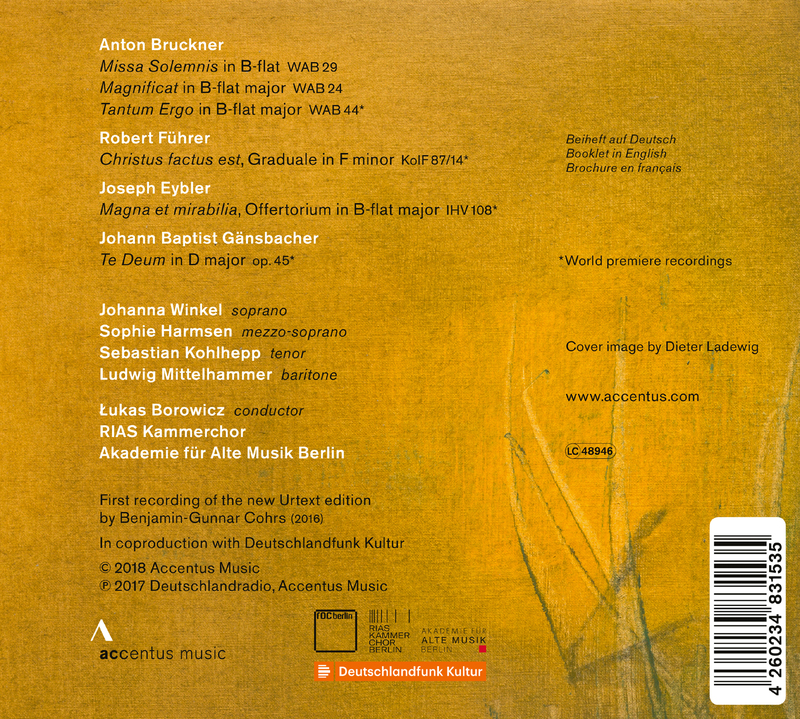 In Accentus Music’s new recording, the rarely heard, recently re-edited and newly published “Missa Solemnis” by Anton Bruckner, shines in a new light. This gem was performed by the Akademie für Alte Musik Berlin and the RIAS Kammerchor under the baton of Łukasz Borowicz. For more information about the new album, including other works, click here. The Segal Center Film Festival on Theatre and Performance will be screening the documentary “The Lost Paradise – Arvo Pärt, Robert Wilson”, directed by Günter Atteln, on Saturday, March 3rd, 12 a.m., at the Segal Theatre, 365 5th Ave, New York. For more information about the festival, click here, for more information about the documentary, click here. 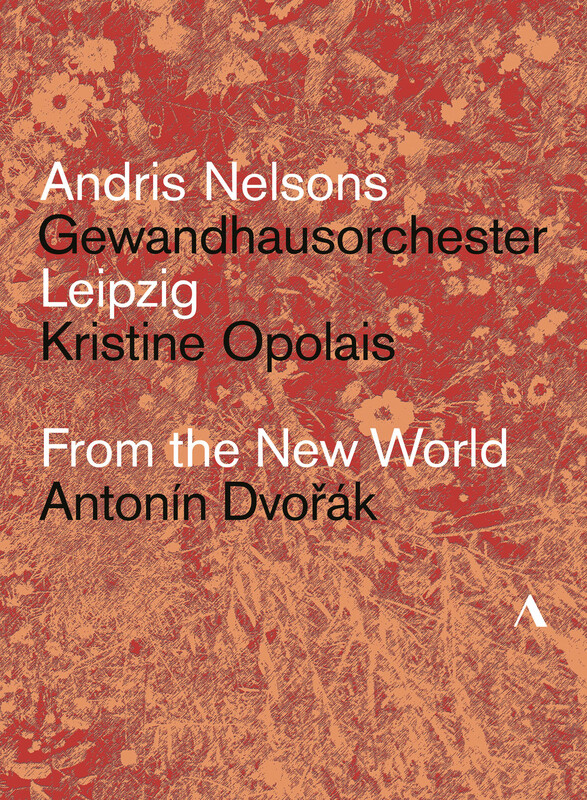 Accentus Music’s new DVD/Blu-ray is the first audiovisual release of the Gewandhausorchester Leipzig under the baton of its new music director Andris Nelsons. In May 2017, they performed works by Antonín Dvořák. The DVD/Blu-ray is now available in Germany, at the beginning of March in the UK and at the beginning of April in the US. For more information about the release, click here.